Anthropogenic input of mercury (Hg) into the environment has elevated risk to fish and wildlife, particularly in northeastern North America. Investigations into the transfer and fate of Hg have focused on inhabitants of freshwater aquatic ecosystems, as these are the habitats at greatest risk for methylmercury (MeHg) biomagnification. Deviating from such an approach, we documented MeHg availability in a terrestrial montane ecosystem using a suite of insectivorous passerines. Intensive and extensive sampling of Bicknell’s thrush (Catharus bicknelli) indicated significant heterogeneity in MeHg availability across 21 mountaintops in northeastern North America. Southern parts of the breeding range tended to be at greater risk than northern parts. Mean blood Hg concentrations for Bicknell’s thrush at 21 distinct breeding sites ranged from 0.08 to 0.38 ug/g (ww) and at seven Greater Antillean wintering sites ranged from 0.03 to 0.42 ug/g (ww). Overall concentrations were significantly greater in wintering than in breeding areas. Mercury exposure profiles for four passerine species on Mt. Mansfield, Vermont indicated greatest MeHg uptake in Bicknell’s thrush and yellow-rumped warbler (Dendroica coronata) and lowest in blackpoll warbler (Dendroica striata) and white-throated sparrow (Zonotrichia albicollis). The MeHg and total Hg ratio in blood in these four species was nearly 1:1. There was no correlation between blood and feather Hg concentrations in breeding Bicknell’s thrush, in part because of apparent retention of winter Hg body burdens, within-season variation of MeHg availability, and confounding factors such as influences from age. Adult thrushes had significantly higher concentrations of feather Hg than did young-of-the-year. Although individual patterns of inter-year feather Hg concentrations were disordered, some individuals exhibited bioaccumulation of MeHg. Female blood Hg concentrations were significantly lower than males’, in part because females have additional depurating mechanisms through eggs. Older male Bicknell’s thrushes that breed in New England are therefore likely at greatest risk. Mechanisms for Hg methylation in montane areas without standing water are not yet fully understood. However, recent studies indicate that MeHg is present in forest tree leaves and leaf detritus; saturated soils and other moist microhabitats may also contribute to MeHg availability. Our finding of a correlation between regional litterfall Hg flux patterns and Bicknell’s thrush blood Hg concentrations demonstrates on-site availability of MeHg. 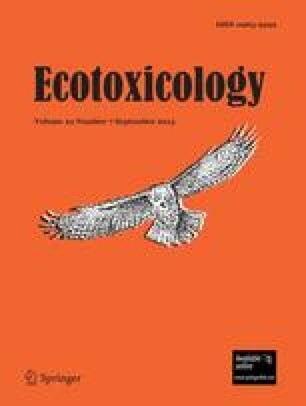 Further investigations into MeHg availability in montane environments are recommended to assess risk to insectivorous passerines, particularly the Bicknell’s thrush.